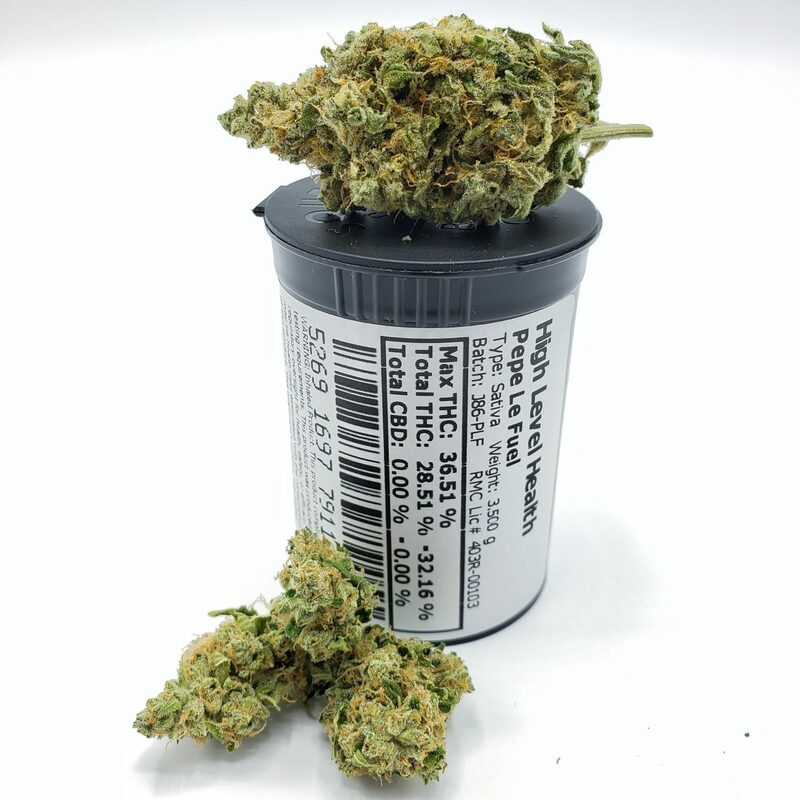 Description: Pepe Le Fuel is a heavy sativa that we have developed in our breeding program. It has nice cerebral effects followed by a mellow feeling in the body. It can be enjoyed in the evening or daytime for a heavy smoker.